I loved the Born in China movie! See it in theaters April 21. The social media moms celebration was so fun at Disney! These are 6 of my FAVORITE memories. 1. The cold smoking popcorn that actually smokes when you bite it! 2. 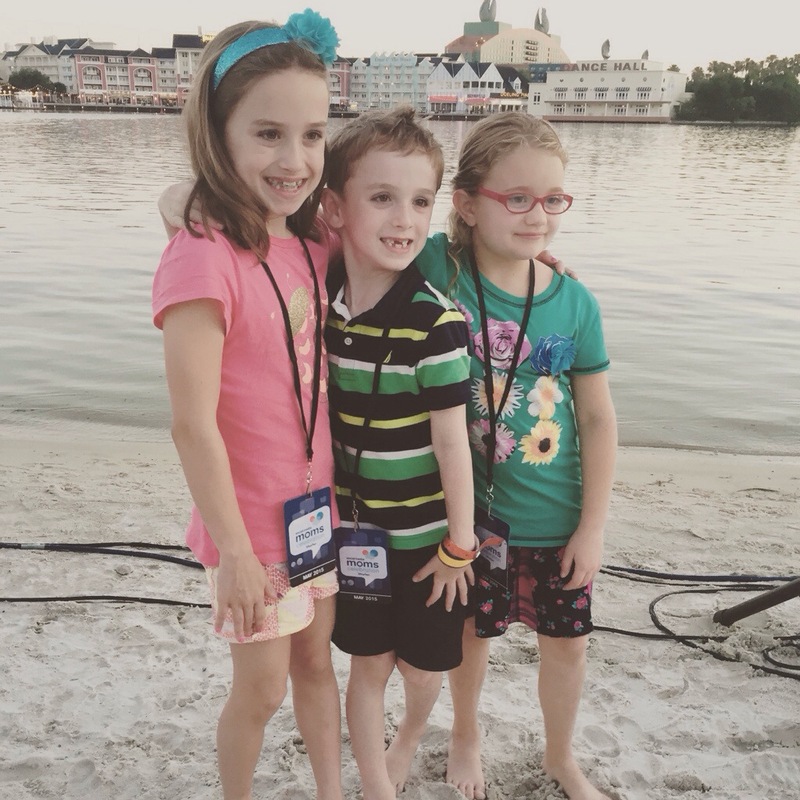 I got to see my friends Kayla and Livie – they live in Arizona and we last saw them 4 years ago at the Disney conference!!! 3. I went on Mt. 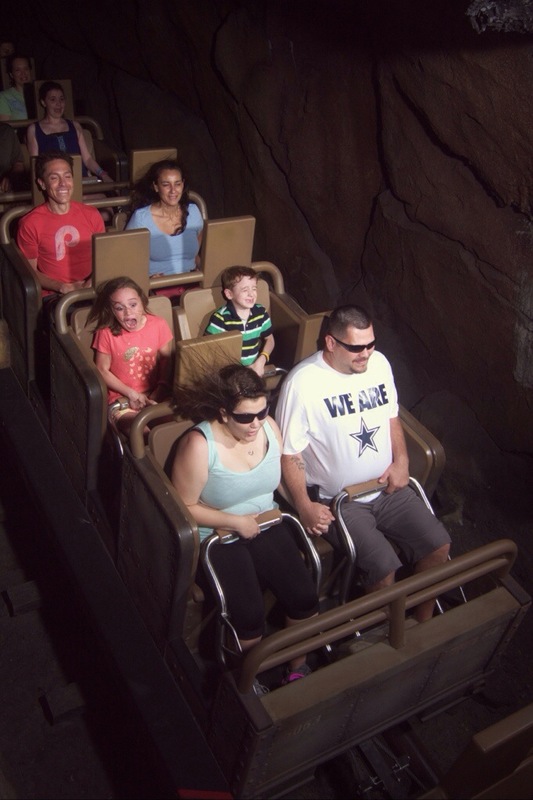 Everest(Expedition Everest) for the first time ever – it was AWESOME! 4. 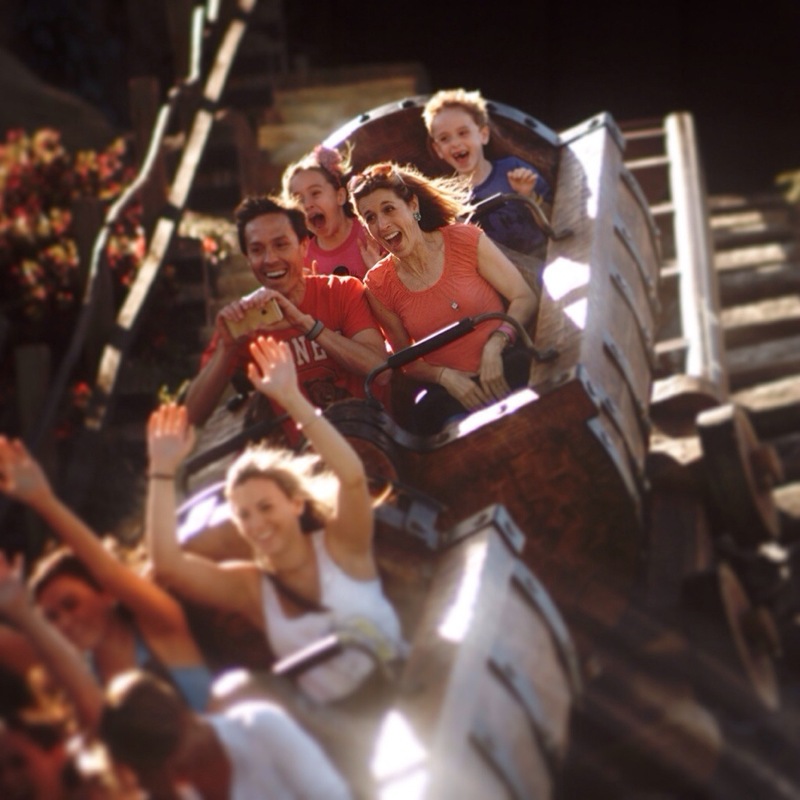 Filming on the seven dwarfs mine train – This new Magic Kingdom ride is so fun! We rode it again and again and again! 5. 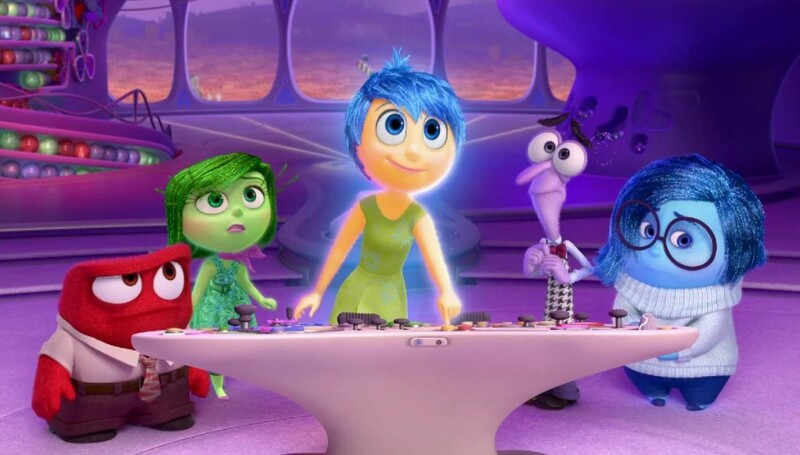 Seeing Inside-Out – we only saw 2/3 of the movie, but I loved it. It hits theaters in June! 6. 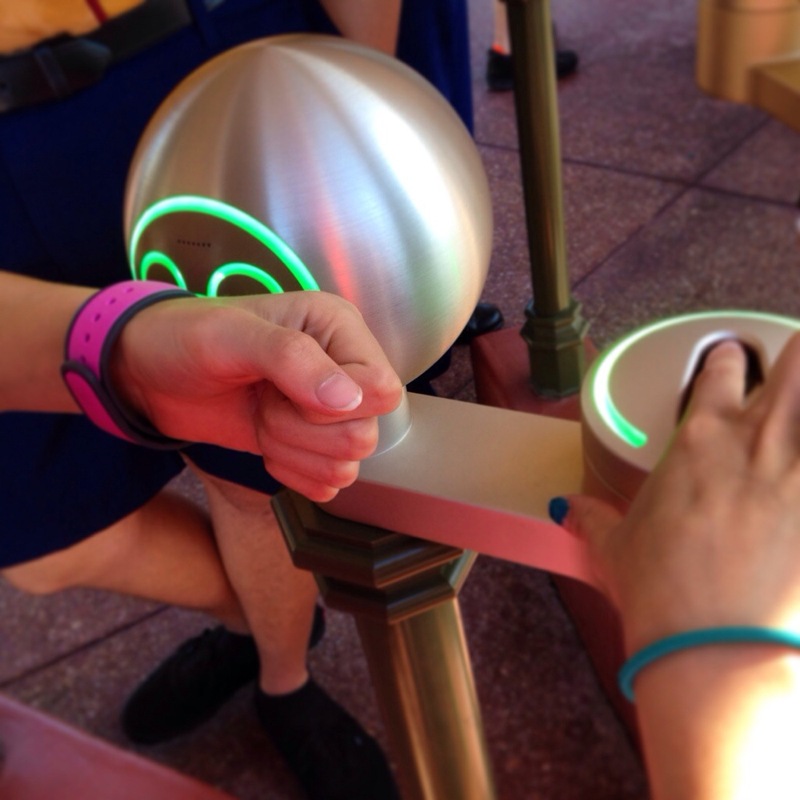 Having the MagicBand for the first time EVER and Fastpass+. They are awesome! 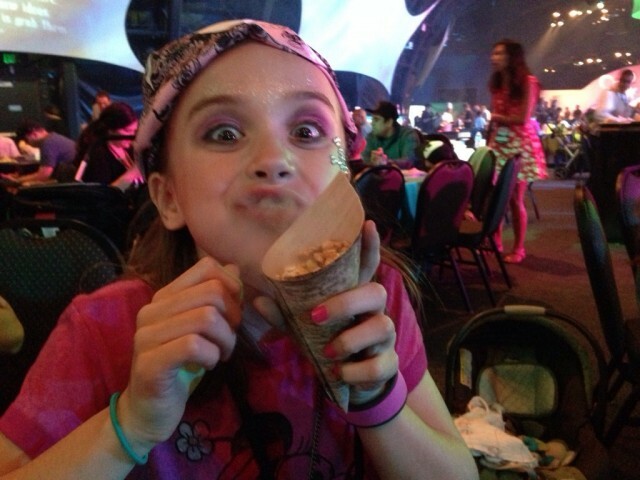 Did you hear about the Disney Descendants yet??? 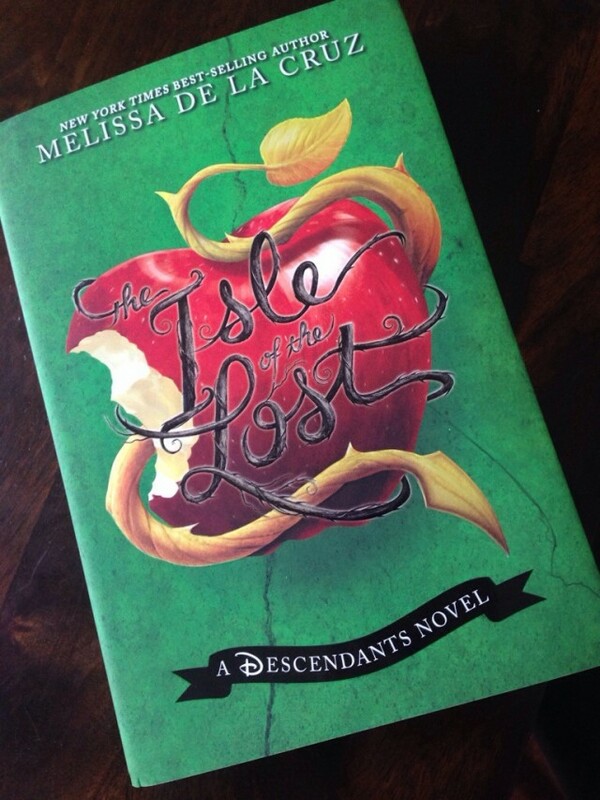 This is an awesome book called isle of the lost: about all the villains after the happily ever afters! We got a free copy at the Disney Social Media celebration and my Mom let me have the book to read first! I only just started reading it…. But it is AWESOME!! There’s also a movie coming out called Disney Descendants on the Disney Channel. This book is the prequel for the movie!!!! I love sailing on the Disney Cruise. 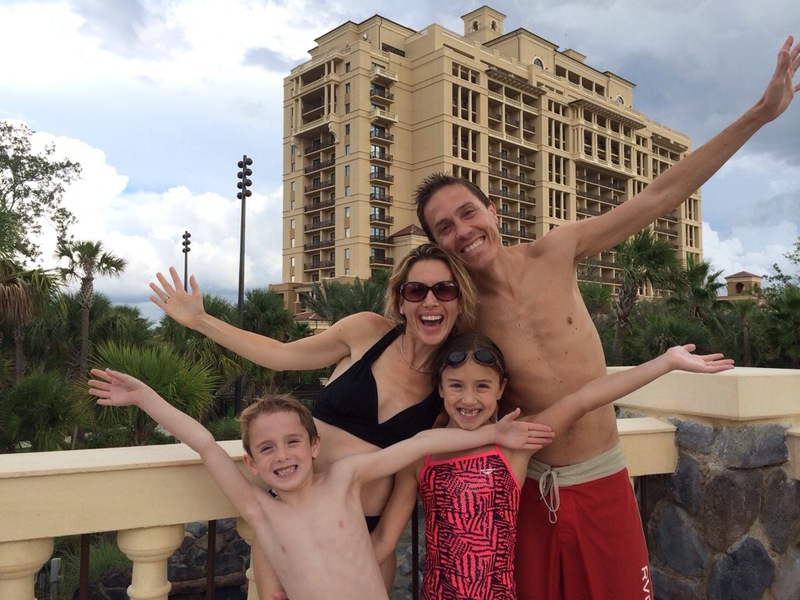 Ride the AquaDuck water slide with me and my family in our video to see what it is like. 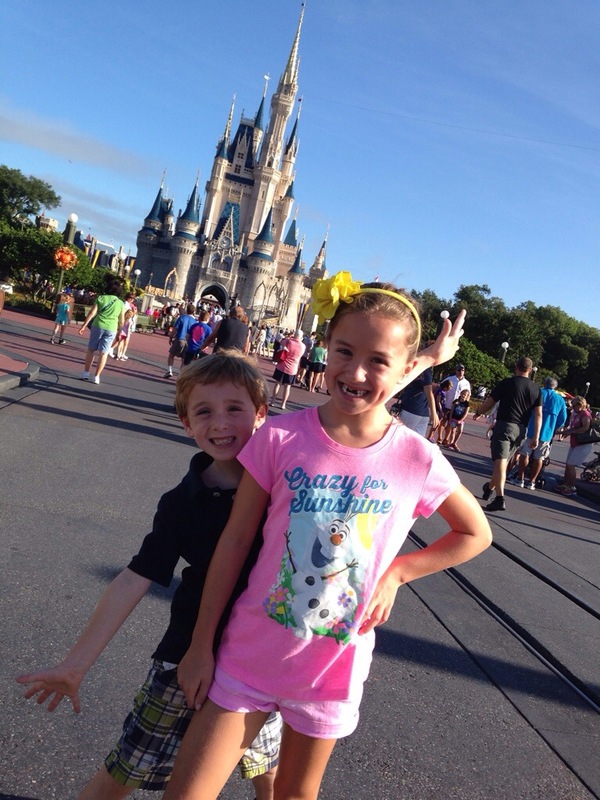 Last month we went on the Disney Dream for 3 nights. Riding the AquaDuck was super cool! My brother Kyle and I loved it and rode it again and again. 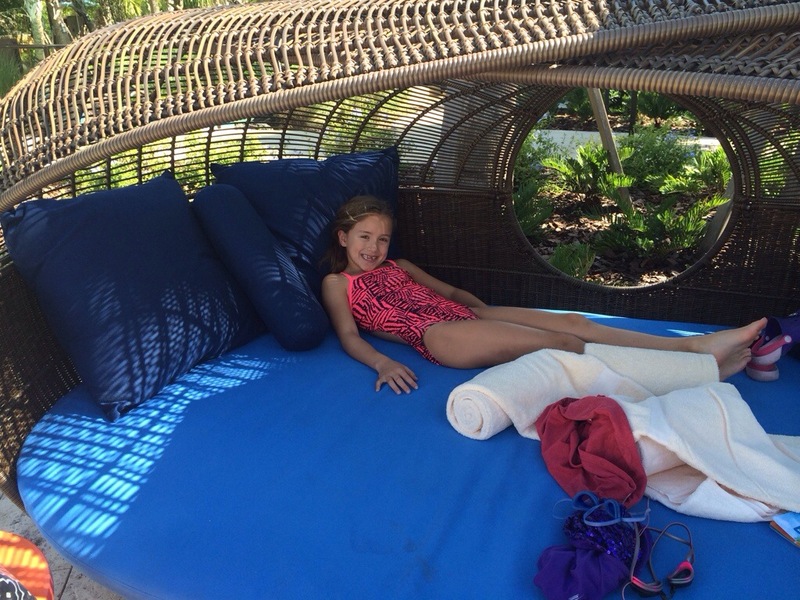 The Four Seasons at Disney is amazing!! There’s water slides, all different kinds of pools and even a lazy river! 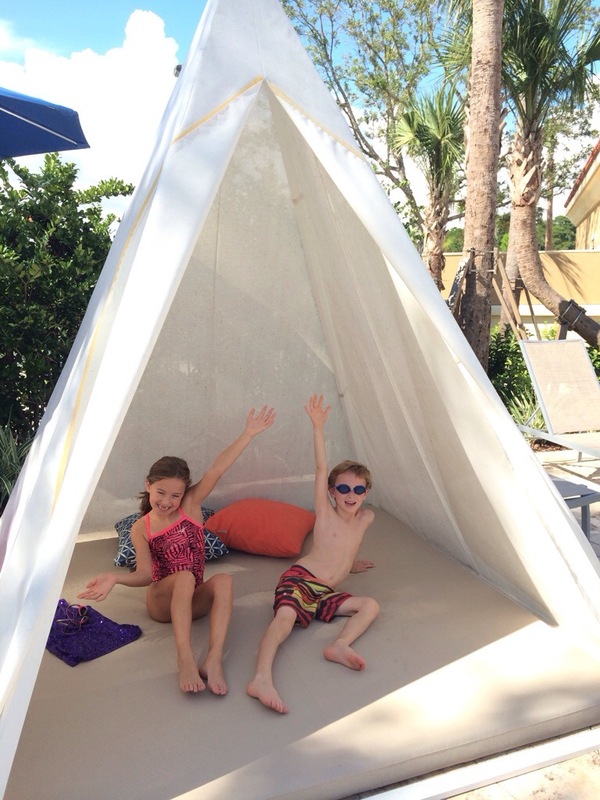 There’s even teepees & cool hideouts at the pool. You almost don’t even want to go to the park! 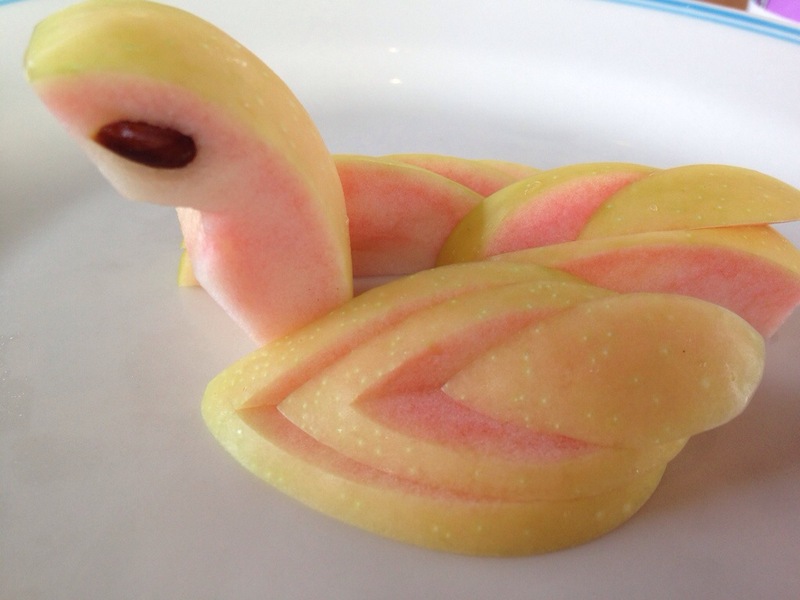 They even made me a pink apple shaped like a swan!! 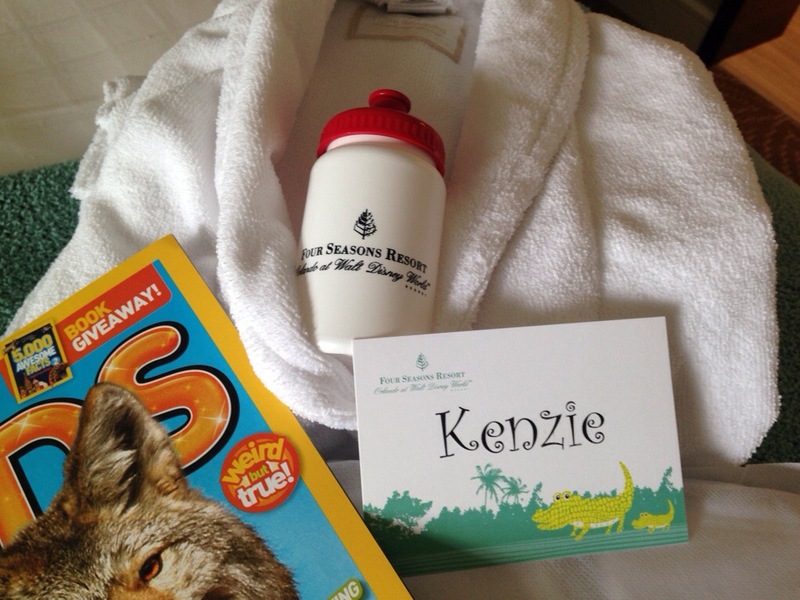 Thank you Four Seasons. You can see some pictures above and below. 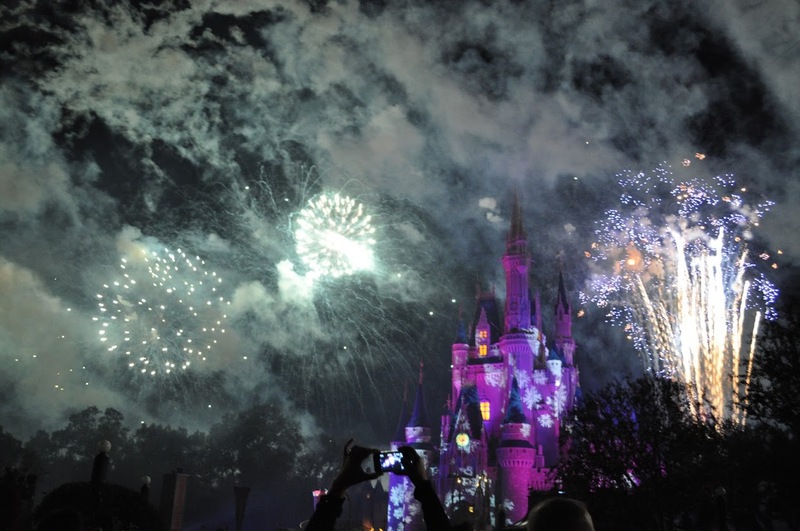 What are your favorite things to do at Disney? Here’s some videos and photos of my 6 favorite things to do at Magic Kingdom so you can experience the magic of Disney with me. 1. Goofy’s Barnstormer: I love this fun and easy roller coaster!!!! Once you get off, you want to ride it again and again!!! In the video, you see Kyle’s cute little giggle, too!! 2. Thunder Mountain: This is a really fun roller coaster that is awesome!!! You get sprinkled with a little mist, and there are small drops. 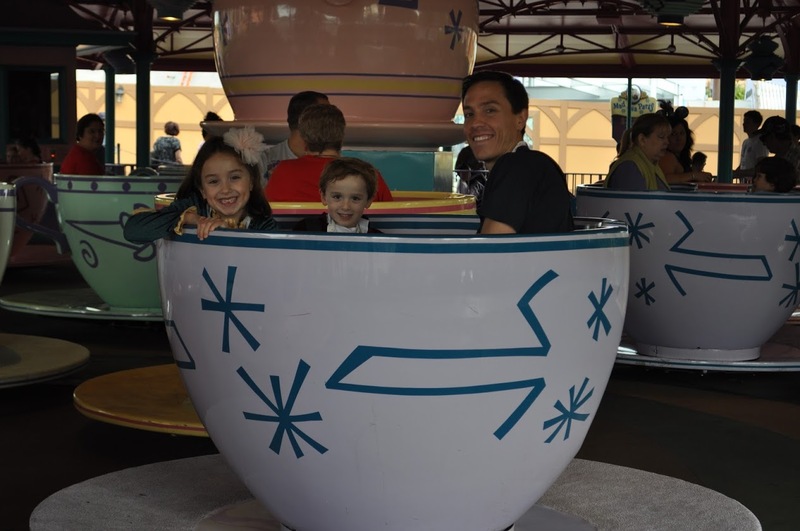 3.Tea Cups: On this ride, you sit in a tea cup and spin around as fast as you want by twisting a wheel. It’s so fun!!!!!! My favorite part is when I get really dizzy!! 4. 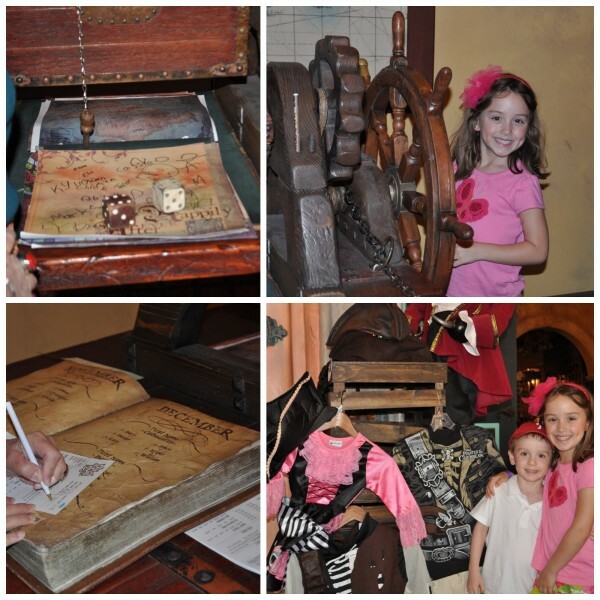 Pirates of The Caribbean and Pirate’s League Makeovers: I love this ride!! You get in a boat, go down a small drop, and sometimes get splashed by cannons. 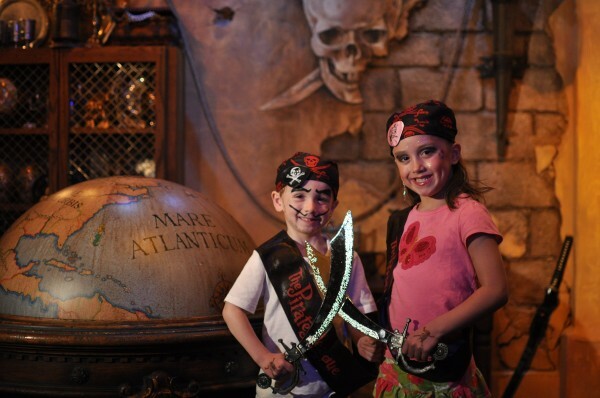 You can also get Pirate makeovers next door afterwards – I love it! We only did it once on our trip 2 years ago, but are begging Mom to let us do it again on our next visit in 2015. 5. New Fantasyland New Fantasyland is awesome!!!!!!! My favorite part about it is the Ariel’s Grotto ride. On it, you jump into a shell and travel through Ariel’s story. There also is Belle’s Cottage. Here you get to be a character from the movie, and act it out. It’s really fun!!!!!!!!! And guess what’s coming soon? The Seven Dwarfs Mine train!!!!!!!!!!!! It’s a easy rollercoaster that goes through the mines. I can’t wait to go on it the next time I go to Disney!! 6. Fireworks at the Castle I love these fireworks!!!!! It’s sooooooo fun!!!!!! 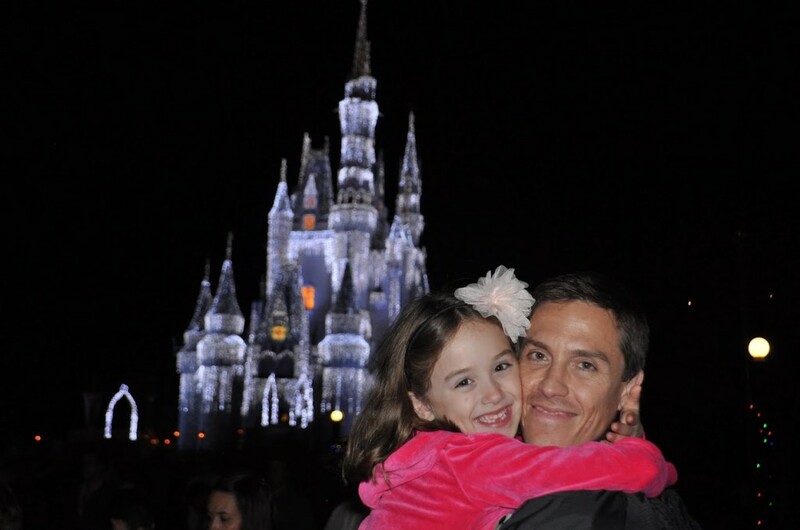 Also, icicles at Christmas, fire, and cool pictures appear on the castle during the show. I love Disney a lot and hope that you got to feel the magic by watching the videos, reading the post, and seeing the pictures.